Samantha is a former U.S. Army journalist. She moved to Nevada in 2008 to work as a television news producer and quickly fell in love with the Silver State, as well as its wild horses. Samantha began riding horses at age 13, and it's been her passion ever since. When she's not working she's out riding somewhere! She currently lives in Reno, and her herd includes a mustang (Sage), a registered APHA gelding (Geo), 2 dogs (Bella and Sebastian), and 2 cats (Finnegan and Tomas). Samantha's love for horses and long riding led her to start planning the 1st Nevada Discovery Ride in 2010. She was awed and humbled to have the opportunity to ride close to wild herds of mustangs in the mountains around Reno, but saddened to learn that many languish in holding facilities because they are not being adopted. This project is her way to encourage wild horse adoption. ​In 2010 I started thinking about doing a long distance horseback ride. I had read stories of intrepid long riders who crossed continents and found adventure on the trail, and I found myself thinking Well heck, maybe I could do that too! I decided to start small with a nearly 500 mile ride across central Nevada. But, I knew that make the journey I would need to have the right horse. Luckily, I knew just where to find one. Living in Nevada it’s almost impossible to avoid wild horses. You see them out on the range, off highways, and roaming the neighborhoods. Even the local news is full of stories about roundups, protests, and others controversies surrounding the management of wild horses. 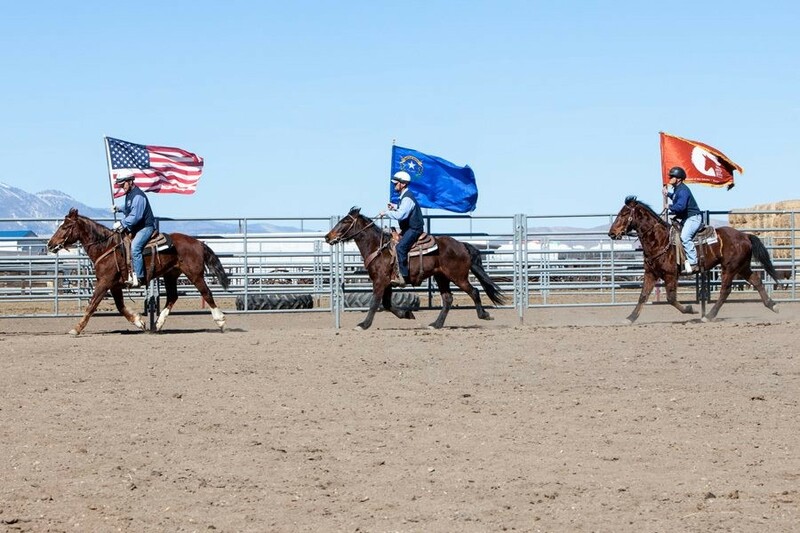 But, Nevada is also home to one of the best places to adopt a wild horse -- the Northern Nevada Correctional Center (NNCC) Saddle Horse Training Program in Carson City. 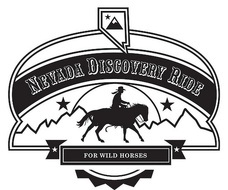 Wild Heart Mustangs™ is proud to be a media sponsor for Samantha Szesciorka's 2016 Nevada Discovery Ride! Samantha will be writing guest articles in the months to come, sharing her preparations, journey and stories from the trail with Wild Heart Mustangs™. 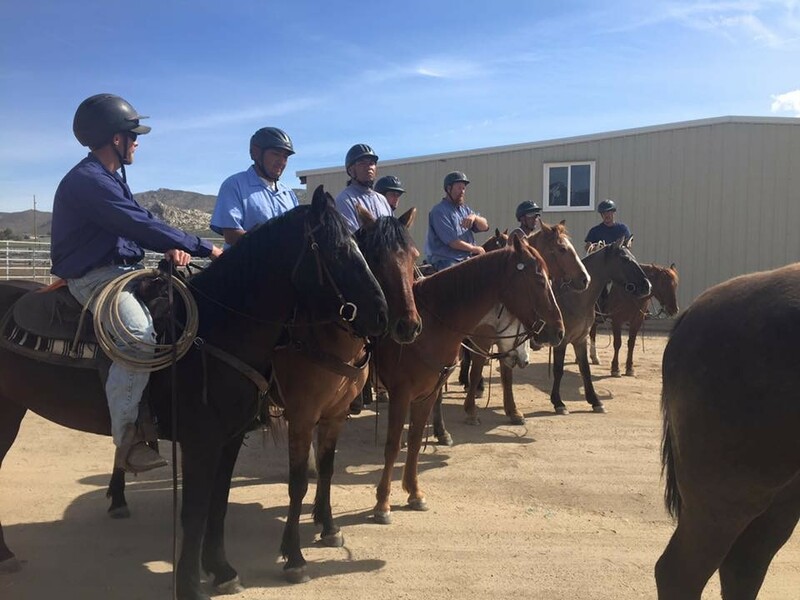 This partnership between the Bureau of Land Management and Nevada Department of Corrections pairs wild horses with inmates for approximately 120 days of gentling and training. The inmates work with the horses 8 hours a day almost every day of the week. The transformation is incredible as they take the horses from untouchable to rideable. At the end of each training cycle (3-4 times a year) the prison holds an auction to find the horses new homes. As for me, I found my trail partner at the February 2011 auction. During the preview I went from horse to horse and chatted with the inmate trainers but no one really stood out to me. That is, until I walked over to the handsome 4-year old bay named Sage. As soon as I walked up to him, Sage reached over the panel and snatched the auction program right out of my hand with his mouth and tossed it on the ground! I knew then that he was the one. I won Sage in what felt like a bidding war, for $1,000. Since then Sage has ridden in parades, appeared at numerous public events, and accumulated thousands of trail miles. In 2013, we completed that long ride vision of mine from the Utah border to Reno, Nevada. Later this year, we’ll head out again aiming to complete a 1,100 mile ride around northern Nevada. I can’t imagine doing it with any other horse. I certainly credit Sage’s amazing talent to his start at the NNCC Saddle Horse Training Program. The day of the auction, the public is invited to the prison where they have a few hours to preview the animals and talk to the trainers. Potential adopters are not allowed to ride any of the horses or get into the arena with them, but can ask the trainers to demonstrate their horse’s skills. The auction begins with a group ride in the arena, carrying flags, changing gaits, and riding patterns that show off the horses’ new abilities. Then, each trainer rides their horse into the ring individually as the auctioneer begins to call for bids. The riders take their horse through each gait, pick up their feet, crawl underneath them, and a few even show off a few tricks like bowing. The bidding begins at $150. In the past few years, the auctions have become more and more popular and competitive. The October 2015 auction brought in a record high bid of $15,000 for a 4-year old gelding! But, the average bidding price tends to range from $1,500 - $2,500. At the end of the auction, adopters complete their paperwork, the inmates bid a bittersweet farewell to their horses, and the horses are loaded up into trailers to head off to their new homes and new lives. The training program benefits the prisoners as well. Working with the horses, the men learn new skills, gain responsibility, and take pride in producing a horse with a high adoption rate. Inmates involved in the NNCC training program are also far less likely to be reincarcerated. The program’s recidivism rate is about 15%, compared to the average national recidivism rate of 43%. The next auction at the NNCC program is scheduled for Saturday, June 11. It will feature 13 geldings and one burro up for adoption. You can get more details and see the catalog of adoptable animals here: http://www.blm.gov/nv/st/en/prog/wh_b/saddle_horse_training.html. For information on other BLM prison programs and adoption sites, visit http://www.blm.gov/wo/st/en/prog/whbprogram/adoption_program.html. For information on our upcoming long ride, visit www.NevadaDiscoveryRide.com or follow us on Facebook at https://www.facebook.com/NevadaDiscoveryRide/. We will be carrying a tracking device during the ride and will post updates from the trail. for and undertake their next long ride together beginning in August 2016.